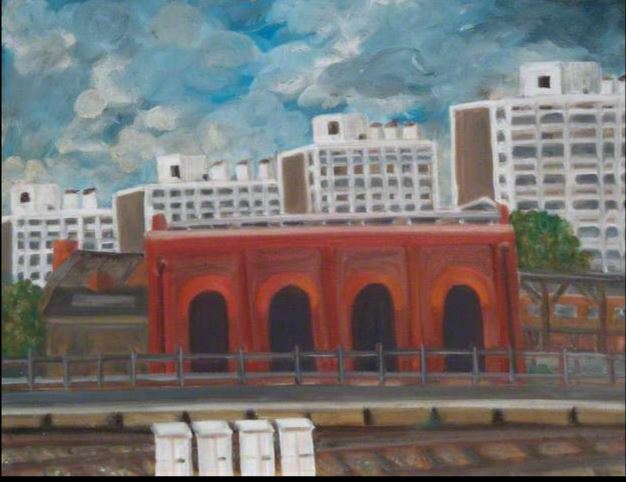 Windy Days at Loughborough Junction by Wendy Sullivan. Painted 1990. This entry was posted in Loughborough Junction, Paintings & Drawings and tagged Loughborough Junction Station, Painting, Wendy Sullivan. Bookmark the permalink.